Nice to deal with you sir.. ganda ng unit mo panalo..sna ma enjoy ko pa..
Dont hesitate to deal with this guy on time kahit malayo nilakad nia. Thanks again sir And Merry Christmas po. Hoping to see a deal again with you.. 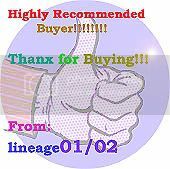 Highly recommended buyer! Very professional and trustworthy! Do not hesitate to deal with him! thumbs up ky sir, TCP certified and professional..just a txt resulting to a good deal, ganun ka simple! kudos ky sir! Thanks for the hassle free deal. on time and mabilis kausap. Thanks for the seamless transaction earlier Sir. Thumbs up. Highly Recommended TCP Member. boss salamat sa Iphone 4! very nce unit! madaling kausap. nakipag yosi pko habang nagccheck. thanks sa good item mo sir . Godbless... more deals to come! Thanks Boss sa easy Deal! highly recommended professional TCP member! til the next deal. God bless! Salamat sir s iphone 4!maganda p ang unit..ok ka deal at madali kausap.highly recommended! Sana ma resolve na po issue nio nung nasa taas. Thanks for the trade sir. Okay kausap tong si sir and hassle free. Recommended TCP member! Yes sir! Thank you for swift transaction.. Blessed you brother!